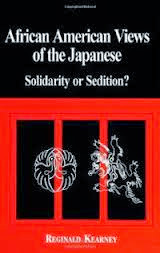 Home > black history > African American Views of the Japanese: Solidarity or Sedition? African American Views of the Japanese reveals a page of history long ignored. In black America, Japanese were not always known for racist remarks, Sambo images, and discriminatory hiring practices. Once, thousands of African Americans thought of the Japanese as "champions of the darker races." Here Reginald Kearney examines the role played by Japan and its people in the dreams of prosperity for many African Americans. He also uncovers the shock many blacks felt upon learning that this high regard for the Japanese had been betrayed by discriminatory remarks and actions. But overall Kearney remains optimistic that the African American-Japanese rift can be mended.